AHFSA announces the opening of the Professional Forum! State Agency members are invited and encouraged to post informational and survey related questions that you wish to pose to other State Agencies in the Professional Forum. AHFSA is pleased to welcome The National Forum for Background Checks (the Forum) as a workgroup within AHFSA. The Forum is a state-run collaborative association of states whose mission is to improve public health and safety by advancing and supporting the adoption of robust background screening of care workers to protect vulnerable populations. The members are agency representatives from current and former National Background Check Program (NBCP) CMS grant recipient States. Most programs are housed in the State Survey and Certification agency. The Forum will be have an interest track at the upcoming AHFSA annual conference in Orlando. Any State may participate in the Forum; information on how to sign-up can be found in the Forum Participation Guide. To learn more, see the Forum brochure and our their ten identified initiatives. 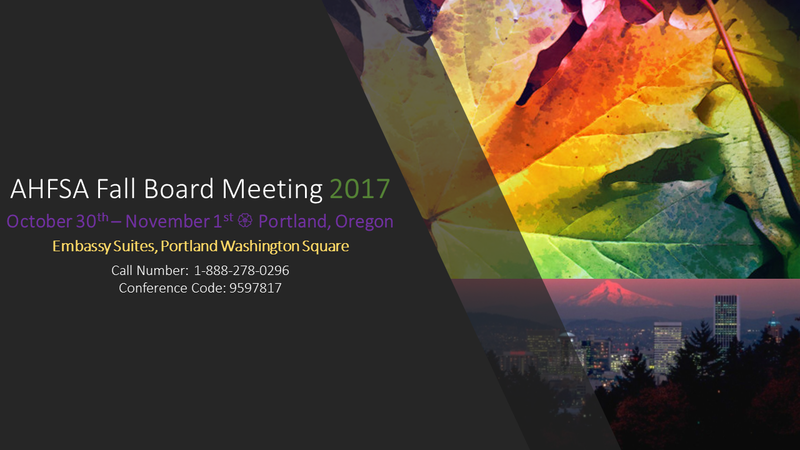 The AHFSA Board has unanimously chosen the Embassy Suites Washington Square in Portland, Oregon as the site for the 2018 Annual Conference. To visit the conference site please visit the Embassy Suites Washington Square for more information. 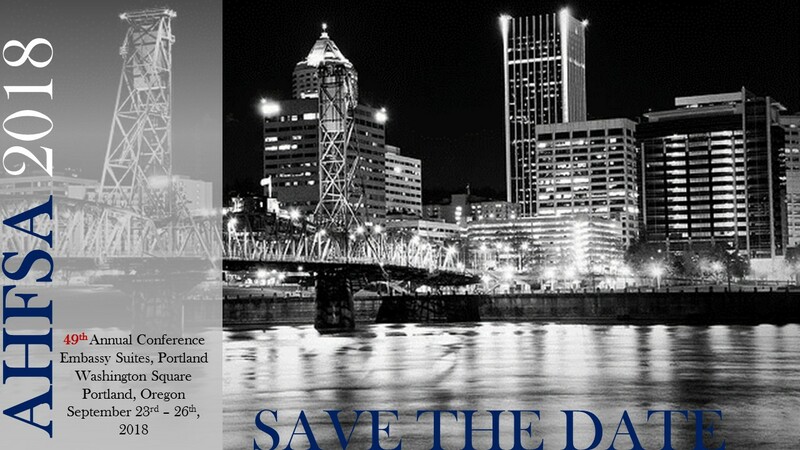 For more information about the city of Portland please visit Travel Portland . More information is to follow.